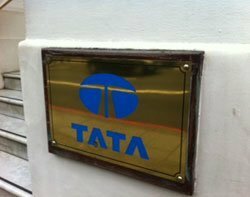 Tata Consultancy Services (TCS) business process outsourcing (BPO) subsidiary, Diligenta, has won a deal with life insurer Friends Life worth £1.37bn. Tata Consultancy Services (TCS) business process outsourcing (BPO) subsidiary, Diligenta, has won a deal with life insurer Friends Life worth £1.37bn over 15 years which will see 1,900 Friends Life staff transfer to the Indian service provider. From March 2012, Diligenta will take over the administration of 3.2 million policies. Jean-Louis Bravard, director at sourcing broker Burnt-Oak Partners, said this "huge transaction" is good news for the outsourcing sector and could be "the megadeal of the year". This significantly boosts TCS's footprint in the life sector, where it already boasts a large contract with Legal & General. Last year, insurer Phoenix Group consolidated two million UK customer records, which resided on multiple legacy systems, onto a single system in the cloud as part of a BPO deal with Diligenta. It migrated onto the cloud-based TCS BaNCS Insurance platform. TCS's IT and Diligenta's BPO expertise are a good fit and could be an example of future industry consolidation. "This is perhaps the way BPO is moving," said Peter Brudenall, partner at law firm Lawrence Graham. "The companies that have IT expertise can provide customers with a greater level of efficiency." He expects more acquisitions between BPO and IT companies.